Carolyn Bryant Admits What We Already Knew: She Lied on Emmett Till. Left: Emmett Till; Right: Carolyn Bryant and her sons. Yesterday, I read something that infuriated me and broke my heart all at the same time. Carolyn Bryant, the woman claiming that Emmett Till whistled at her in August 1955, admitted that she lied about the whole thing. See, I always felt as if she lied. However, knowing she admitted it lets me know just how cruel people can really be. She may not have known the extent of what would happen to the young 14-year-old boy because of her lies, but she knew there would be consequences. Timothy B. Tyson, an author and senior research scholar at Duke University, has a new book, “The Blood of Emmett Till.” The book reveals the testimony of Carolyn Bryant. I read one of his books years ago, “Blood Done Sign My Name” and I’m looking forward to reading this one. The story of Emmett Till has also been heartbreaking to me. My brother-in-law, who is younger than I am, didn’t even know who Emmett Till was until I told him yesterday. Which makes me sad that our children aren’t taught Black History in school. Having a Black son myself, I can’t even begin to imagine the pain Emmett Till’s mother, Mamie Till-Mobley, felt. I read years ago, that the 2 men responsible for his death had suffered from health issues. Even if young Emmett had of whistled at Carolyn, he did not deserve to be tortured, murdered, tied to a fan blade, and thrown in the Tallahatchie River. His mother was adamant about having an open casket funeral for her son, so the world could see what they’d done. I read once that she said since she lived in Chicago, she never worried about racism. She thought it was a Southern problem. However, she became an advocate for civil rights after her son’s death. 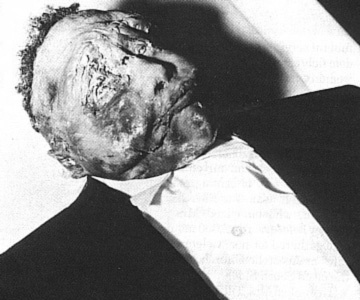 To read the story of Emmett Till: Click here. Photo from Emmett Till's funeral.